Now in her Halcyon Days, the CEO turned philanthropist adds another chapter to a life story of entrepreneurial success. If you are listed as one of the world’s most powerful women, if you are developing one of the nation’s most innovative foundations, if you are managing hundreds of millions of dollars, how else would you relax but frolic with your dog? Such is Sachiko Kuno, soft-speaking entrepreneur, scion of a pharmaceutical-turned-foundation empire, and playmate of Cherry, the energetic golden retriever. Extraordinary people are still and again people, and dog wrangling is an easy choice for an introvert like Kuno, who once chose to work in a chemistry lab because she thought the job would not require human interaction. Yet from the quiet of that long-ago lab, Kuno would transform into the business brains behind the genius of a boss-turned-husband. Along that other path, she would immigrate from a nation where she wasn’t accepted, buy and rebuild one of Washington’s most historic homes, and become a citizen of a new country. Today, the marriage over, Kuno has turned her acumen in development, finance, and innovation to a new endeavor in philanthropy. The mission at DC’s Halcyon House and at Kuno’s other enterprises is the same as with the health-saving drugs she helped develop: to improve the residents of the blue planet through innovative science, art, finance, discourse, and social enterprise. Halycon is to synergize these disparate fields. To see Japan from her Georgetown office, Sachiko Kuno need only glance left from her desk chair, to a long, narrow landscape painting of modern hints and darkened tones, a calming countryside view of hills and trees rising from a broad meadow. She put that painting there, at her side, a reminder she hardly needs. As the country Kuno only recently, in life’s terms, began to visit again, as the country she had to formally leave behind when she became a U.S. citizen just last year, Japan is never far from mind. When Kuno needs to be alone – as she still does — she will slip into her kitchen at home and make a simple, traditional Japanese meal, adorning her marveled life with memories of years far and past. What better way to recollect your immortalities than cooking and smelling and tasting the foods of childhood? She was born in Japan in 1954, the country still recovering from the devastation of World War II. The middle of three children, Sachiko grew up in a non-traditional family in a traditional land. Respectful of art, science, and business, her engineer father and college-educated mother set examples. Sure, her mother would remain a homemaker, as was expected for Japanese women, but she taught Sachiko and her sister about the freedoms she didn’t have outside the home. The interior design at the historic Halcyon House is muted, modern, and intended to showcase the striking art handpicked by Sachiko Kuno. She returned to Kyoto to finish her PhD. But Japan offered few jobs for quiet female scientists. She had no choice but the post-doc path. In the lab, she met Ryuji Ueno, a brilliant bioscientist with big ideas. In the years to come, she worked more and more with and for the dashing Ueno. In what would become another fortuitous combination, they fell in love and married. 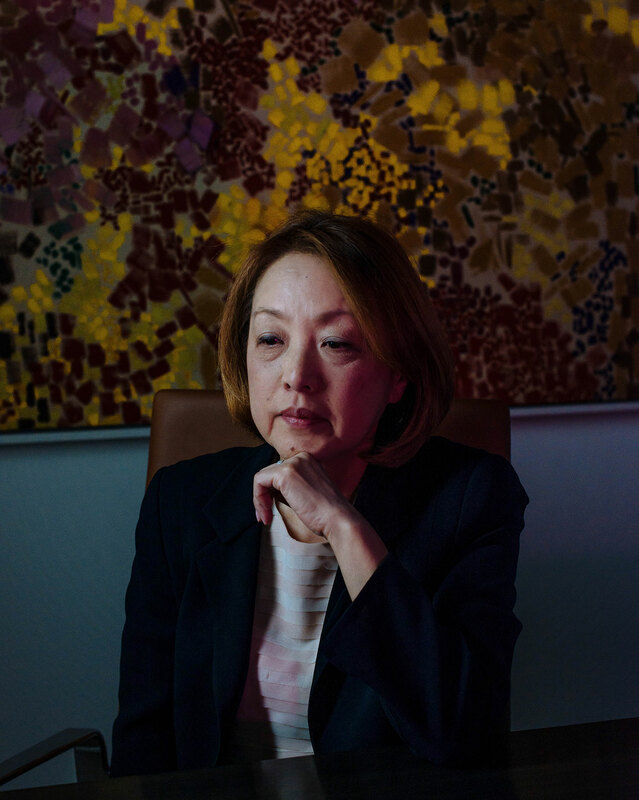 Ueno focused on prostones, a chemical compound with wondrous medicinal potential, and, as the personal and professional merged at R-Tech Ueno Ltd., Kuno began turning her quiet mind to commercialization. All she had to do was learn how to run a company. Halcyon House’s renovated and restored interior is used for everything from receptions to meetings. The main salon was part of the expansion carried out by Mark Twain’s nephew when he owned the historic Georgetown mansion. The very idea that Kuno would meld two of Japan’s male-controlled worlds, in science and business, was clearly brave. But she never saw her new-found interest in entrepreneurship as moving away from science. “Instead, I was getting more into the translation process of basic science, into the development of science.” To her and Ueno, the goal was to make medicine and get it to patients. They found one, to the tune of $80 million. Rescula was on its way. But they needed more, just as a long recession started in Japan. “That was a huge debt we owed already, even before we had our first products. Our sponsor didn’t want to repeat that investment. That was a scary thing.” With the $80 million still owed but Rescula finally reaching patients, they kept looking for investors, for another sponsor, for what Kuno knew, across the oceans, were called venture capitalists. Maybe they should look in the U.S.? The year: 1997. The entrepreneur, shy perhaps now only in memory, and the brilliant scientist, still focused on the lab, were ready. In the end, this one is simple to recount, as simple as wanting to see where fate and finance would take them. Top: Kuno’s smallish office is classy and workable, but still adorned with art from her modern, innovative sensibilities. If she looked up from her desk, she would see over the rooftops of Georgetown and across the Potomac. 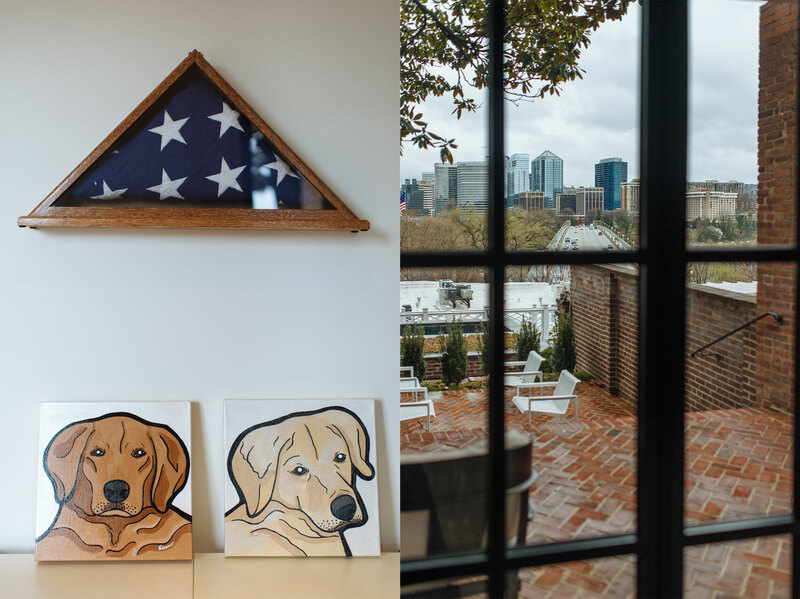 Bottom: In her office, Kuno proudly displays a flag (left) she was given when she became a U.S. citizen in 2016, just over modernist paintings of two beloved pets. Looking out from her office (right) is the stunning view of the Potomac, the Key Bridge, and the Rosslyn skyline. To this day, Sachiko prefers to meet in small groups. 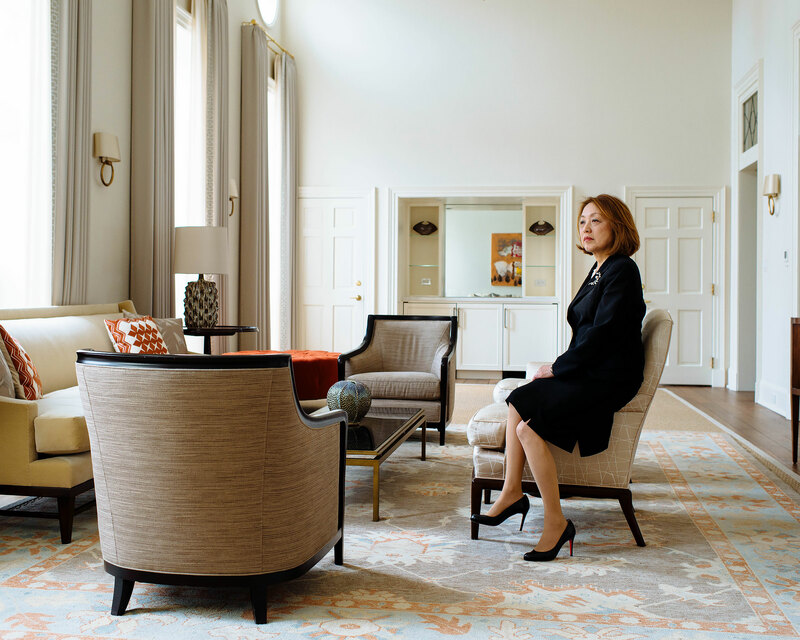 At her smallish Georgetown office, the conference table and its ten chairs reside around a corner, just out of eyesight from her simple, table-top desk. Much closer and in front of the desk are four comfortable and classy fabric club chairs. They sit facing each other, equally spaced around a small circular coffee table stacked with a few books, all properly arranged. The chairs align so each occupant clearly sees the eyes of one, two, but no more than three others — close enough for conversation, but far enough to maintain space, to equalize height, to neutralize any bending back or leaning in. King Arthur thought of this, too. Kuno’s voice is confident, calm, and accented from her native land. She’s quick to smile, ready to reflect, open to the most personal of inquiry. Sometimes English falters for a moment, but she nods quickly and easily re-starts sentences to arrive at the proper words. Her face is rounded, with flat cheeks and a small mouth bending only slightly downward on the edges. She dresses for business – a dark suit, tan hose, auburn hair mid-length, turned at the ends and perfectly done, manicured hands small but sure, never wandering in gesture. Class is the word, with a spot of jewelry in a pin and ring. You must look closely at the shoes, which seem as dark and all-business as the suit, to see the bright red surface on the inside edge of the thin, three-inch heels. Class with tiny splash. Given the power her office represents, the room itself is compact, with modern glass shelving, a few messy piles on the desk. A working desk. In front of the four club chairs, beyond glass doors, is a small brick patio featuring a stunning view of the broad Potomac marred only by the hum and honks of DC traffic. You might suspect that patio is quietest at four in the morning, but the cross-river lights of high-rise Rosslyn must be grand any time after dark. Those decisions must have worked, as Sucampo was out of the $80 million Japanese debt by the first year of the new century. She claims not to remember failures, but she acknowledges mistakes – perhaps some when she set unreachable goals. One of those was to keep Sucampo independent of the enormous pharmaceutical conglomerates. It would be easy to sell off, but that didn’t match the freedom Kuno sought. She and Ueno didn’t leave their home nation and its male-centric mentalities to fall under the control of a huge corporation, whose conference tables were large and not round. Maybe a dreaming mother would not approve that approach, either. By 2003, Sucampo was nearing final clinical trials for its second product, AMITIZA, which would be used to treat chronic constipation resulting from various maladies. Money once more was the key to success, even if it wasn’t easy to come by. Cash was tight in the multi-million context of startup pharmaceuticals. For instance, Kuno knew a $5 million bond payment was soon due. She also knew Sucampo had only about $3 million in the bank. That was the entrepreneurial equivalent of a family facing a $3000 mortgage payment when it has only two grand in checking. Kuno’s plan was two-fold and labeled with initials dear to the heart of startups: IPO and VC. The options of venture support and a stock sale had drawn them to the States in the first place, and with the background of Rescula and the promise of more prostone-based meds, Sucampo was a certainty, right? But the dot-com bubble had burst. The internet/digital startup boom lost its venture capital foundation, and other bankers disappeared with it. The $5 million deadline loomed. In entrepreneurial terms, the few months she had left to raise the money were like that mortgage payment coming due this weekend, or maybe tomorrow. We financial mortals would sell a car, borrow from retirement, maybe call Mom. For Sucampo, Kuno always knew there was a third option beyond VC and IPO: The conglomerates. Just before the bond was due, Kuno reached a licensing agreement with one company. The money arrived in 2004 and 2005, with the IPO finally in 2007. AMITIZA was approved to treat chronic constipation in various forms, first in the U.S. and eventually in Switzerland, the United Kingdom, and, yes, Japan. Kuno and Ueno kept the company. And the income. Yes, the lab certainly could make money and happiness. 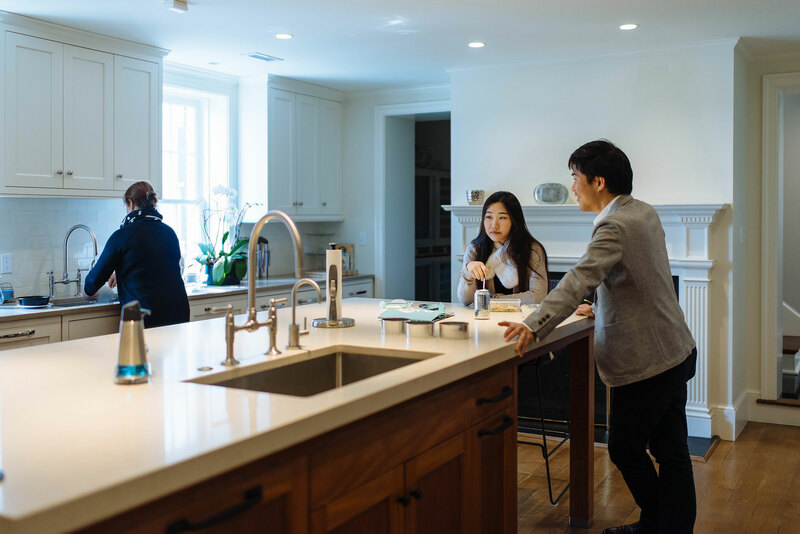 She and Ueno expanded their compound of homes in Potomac, Maryland. They joined boards and foundations, developing one of their own labeled with certain initials — the S&R Foundation. In part to house this expanding philanthropy in science, music, and the arts, they would soon buy two of DC’s most famous and expensive Georgetown mansions: Halcyon House in 2011, for $12.5 million, and the landmark Evermay, for a reported $22 million. By 2015, the name Kuno joined Forbes magazine’s America’s Richest Self-Made Women, and Forbes Japan named her among the world’s 100 most powerful women. She was worth, the magazine reported, $330 million. Even the beautiful, huge kitchen is open to staff, Halcyon Incubator fellows, and working visitors to historic Halcyon House. Sometimes the best way to explore a life is for a sagacious mind to turn inward, to describe the uncharted provinces of a world beyond pharmaceuticals, finance, and foundations, to offer what Wordsworth intimated were thoughts too deep for tears. To explain why Sachiko Kuno is not a mother. Some decisions are made for you, not by you. And so, we turn to the birth of Halcyon, the fitting name of the Georgetown mansion and now the moniker of a multi-idea foundation that aims, no less, to alter the earth. The goal is to find the entrepreneur, the scientist, the thinker, the artist who might create a product or develop an idea that would eventually improve or save thousands of lives. In short, Halcyon should produce, well … more Sachiko Kunos? To understand the foundation’s name, we require more narrative – this from, say, a thousand eons ago, via Ovid and Virgil and other tellers of classical legend: The beauteous Alcyone plotted suicide after her beloved Ceyx drowned, his ship struck down by Zeus. To stop this tragedy, the gods transformed them both into birds, which upon generations were granted a few days without winter storms each year to lay their eggs. These are Halcyon days, this the name that inspired opera, poetry, film, literature, and a certain builder of a grand manse in 1787. Its gardens designed by Mr. L’Enfant, the house was a center of Washington society for decades. Mark Twain’s nephew acquired it in 1900, extensively expanding and remodeling. Among its many histories since include a dorm for Georgetown students, an ambassador’s home, and finally the base for sculptor John Dreyfuss, who made his art there and rented it out for weddings and other events. In 2008, the price tag was $30 million. Kuno and Ueno finally got it, for less, six years ago. Twenty-three decades after it was built, a renewed and art-filled Halcyon House lords over Georgetown’s rooftops, with no less than the Key Bridge as its virtual driveway. The house today – actually a complex of rooms and halls and workspaces over and under the older historic section, with an adjoining residential hall – exhibits the same modernist class of Kuno’s wardrobe. The tone and curtains and furniture are muted and classic, all the better to display the standout contemporary art – paintings, sculpture, and other works of modern, pop, and postmodern realms. In Kuno’s style and mission, this is truly now the striking home of Halcyon. Underscoring Kuno’s mindset, the individual earth-changers Halcyon supports must present measurable goals: Halcyon Incubator, for early stage social entrepreneurs, Halcyon Arts Lab, for emerging artists who focus on social impact. Halcyon Stage, a boundary-leaping performance series that will stretch throughout DC and beyond. Halcyon Dialogue, a series of highest level discussions among global leaders, scientists, and other big thinkers to discuss the future of said planet. And Halcyon Awards, to recognize those dedicated to social change in arts, business, or policy. The restored Halcyon House includes a lower workspace for the Halcyon Incubator fellows, who each have a cubicle designed to promote interaction and a sense of kinship in entrepreneurial creativity. Nearby are closed booths for phone calls. 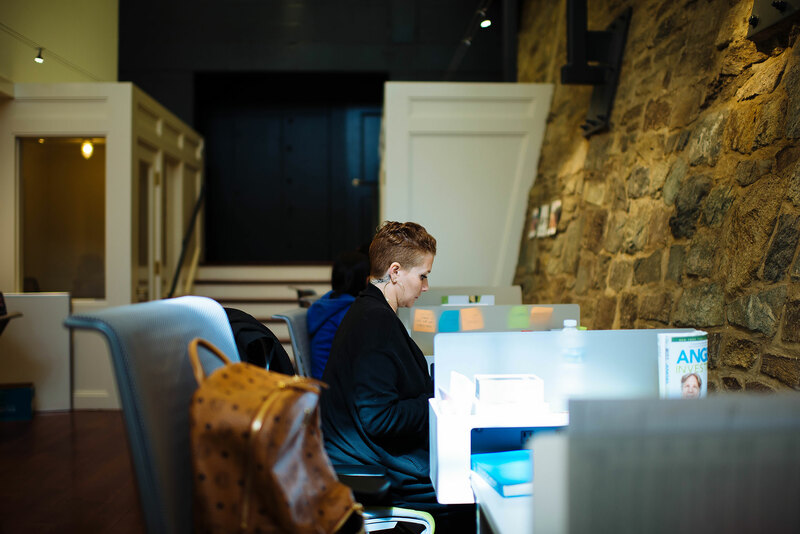 The Incubator and Arts Lab are residential, with small groups of fellows living and working in or next to Halycon House or in the nearby Fillmore School to produce art and develop ideas. And the ideas! At Incubator, they range from hemorrhage-control systems for the battlefield, a text messaging platform for at-risk youth, a system to maintain rural roads, and vaccines that don’t need to be refrigerated. Most fellows start with a five-month residency to jumpstart or boost their ideas. Carey Anne Nadeau, founder and CEO of the DC-based Open Data Nation data access service, credits her 2016 Halcyon fellowship with providing links to mentoring and markets not usually open to social enterprises. “Japanese leaders are still maybe I think 90 percent male. We cannot see female leaders among bigger corporations. And there’s not yet great momentum in Japan to think about corporate advancement, to support startups.” In the end, a gap remains between individual potential in Japan and the reality of its tradition-bound culture, Kuno says. America is home now, and Halcyon her future. 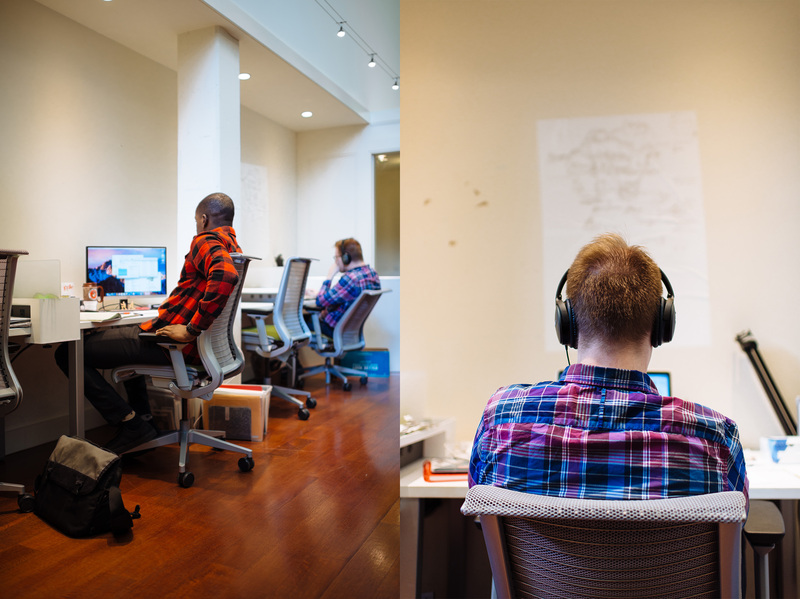 Kuno comes to work most every day, dressed for business, to set and achieve measurable goals. You get the impression that more enterprises will soon bear the foundation’s name, more venturesome ideas will help other women on the path to entrepreneurship. She might even nurture another business, if the right idea attracts the Kuno touch. There are, after all, that vaccine company in Gaithersburg, the endowed chair in medical innovation at Johns Hopkins, and the all-female WE Capital venture investment group she founded, now 15 women and $15 million strong. Pause. She remembers the shyness, the intention to avoid interaction. David Everett, a writer and teacher, is Managing Editor of The Outlier.